Ok the two-day festivus is over. And just as many people sit down to eat the roast beast (or vegetarian roast-beast), over in Russia they are testing new Intercontinental Ballistic Missiles. Yes, the ICBM, an acronym usually associated with the cold war and the 80’s. Welcome to the new cold war. In this version the US acts like Russia is their best friend and presidents look into each others souls and they drive around in pickup-trucks together. Meanwhile behind the scenes, the US has military contractors who need to build missiles and fear in order to justify their existence and make a profit so you can trade shares in Boeing and help make the CEO’s very wealthy. The Russian government, on the other hand, has taken control of all the big oil and gas companies and if it gets the arctic claim they will control 1/3 of the world’s hydro-carbon energy. So Russia tests ICBM’s, launching them by land and from submarines like the year is 1981. The US tries to build missile defences in places like the Czech Republic, Poland, and Greenland, claiming that this is all necessary to protect the world from… Iran. Then Russia protests and says — Hey, that missile shield seems to be pointed towards us! And the US responds, no no no, that missile shield that goes right up til your border is not a threat to you, you can still launch your ICBM’s at us, no problem. Plus we’re best friends remember? That is my rendition of the high school play entitled, The Cold War Part Deux. One of the newer members of the European Union, Poland plans to build a highway to the Baltic states. However part of that highway would run through an ecological preserve. The classic debate begins, development versus conservation. Economy versus Environment. First guest is Peter of the Beatroot, who blogs on Poland and Eastern European Affairs. With all the problems related to automobile exhaust and the destruction of wetlands throughout the world, I didn’t expect to hear that an EU nation was pushing to build a new highway through wetlands in order to connect to neighboring countries. But that is what has been going on in Poland. It is not a new story, but it is an unresolved issue that seemingly doesn’t make the radar of most European media. Or if it does, it is summarized in brief in a tiny little column. In the latest reports I’ve found at this moment, construction of the highway has been haulted because of pressure from the EU. 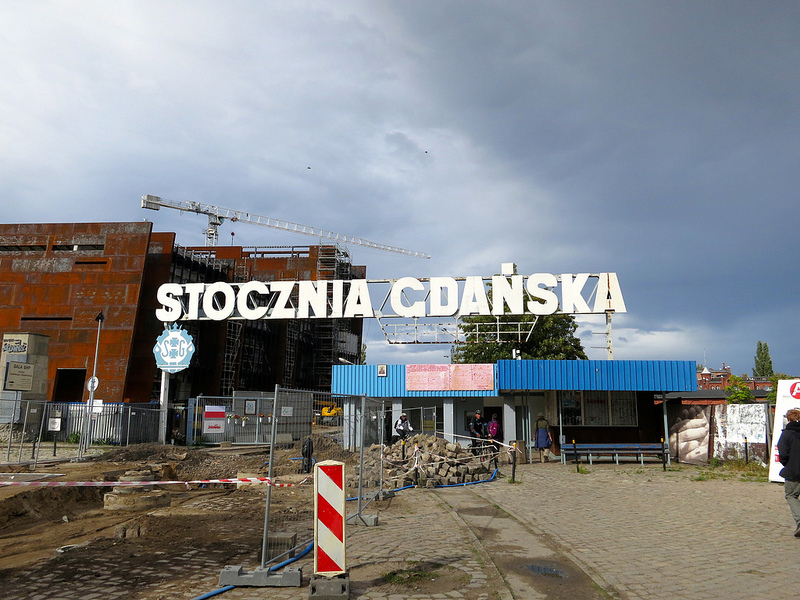 But the fact that the Polish government wanted (and still wants to) execute such a project despite all that we’ve learned in the last decades about how important natural preserves and wetlands are. Somehow having a highway from Poland to Finland is more important that maintaining an ecosystem when so many have already been destroyed. This might call for a conversation with the great blogger and journalist in Poland, Mr. the Beatroot. I’m especially interested in just how these plans can be reversed and the opinions of Polish people and other follow citizens on this continent. Building a highway.. how 20th century. Build a high speed rail line, or better yet.. a maglev train… whatever you do, plan for the future with what we’ve learned from the past.